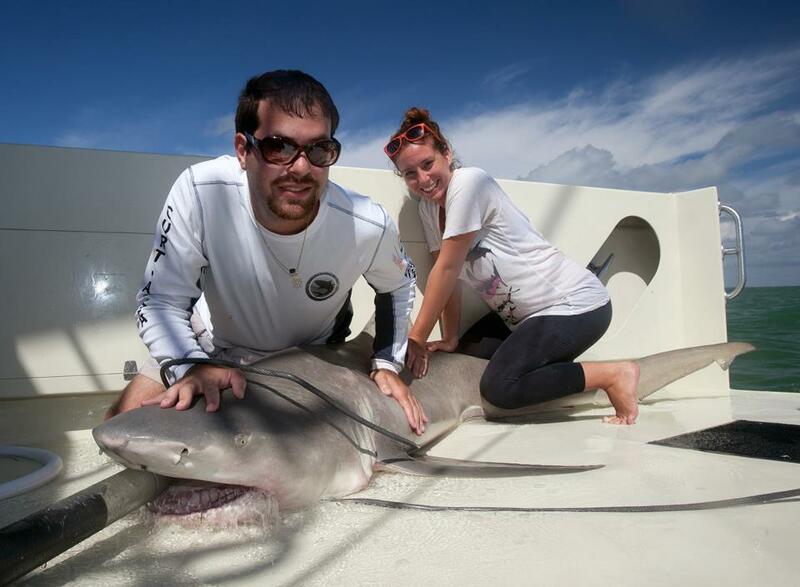 Other than a certain week in August whose name we shall not speak here, 2013 was a great year for both shark science and the communication of that shark science. There were many important and fascinating discoveries, and many of the world’s top media outlets covered them. Presented here is a list of 13 amazing scientific discoveries made in 2013, in no particular ranking order. To make the list, research must have been published in a peer-reviewed scientific journal in 2013, and someone else other than me must have also thought it was awesome (i.e. it received mainstream media or blog coverage). In the interest of objectivity, I did not include any papers that I or my lab were directly involved with. Whenever possible, I’ve linked to an accessible version of the paper. 1) A two-headed bull shark! Citation: Wagner, CM, Rice, PH, and Pease, AP 2013. 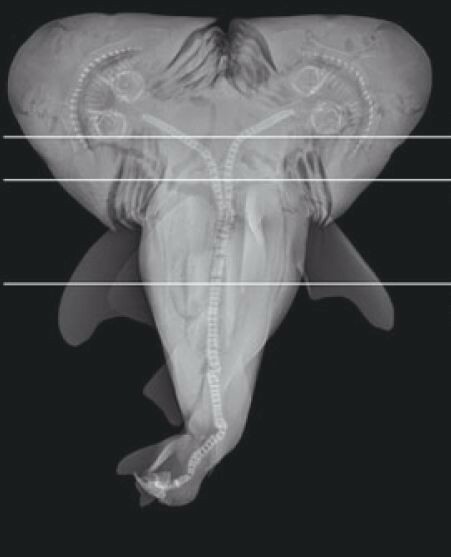 First record of dicephalia in a bull shark Carcharhinus leucas foetus from the Gulf of Mexico. Journal of Fish Biology 82: 1419-1422. Media coverage highlights: A figure from this study was named one of the coolest science photos of the year by the International Science Times. It was also covered by National Geographic, the Guardian, and TIME magazine. 2) Lemon sharks return to where they were born to give birth! Citation: Feldheim K.A., Gruber SH, DiBattista JD, Babcock EA, Kessel ST, Hendry AP, Pikitch EK, Ashley MV, and Chapman DD. 2013. Two decades of genetic profiling yields first evidence of natal philopatry and long-term fidelity to parturition sites in sharks. Molecular Ecology 23: 110-117. Brief description: The research team at the Bimini Biological Field Station (“SharkLab”) has been sampling all of the lemon shark pups born at their island for 20 years now, which makes Bimini’s lemon sharks one of the best studied populations of wild vertebrates on Earth. Using genetic techniques, they demonstrated that adult female sharks return to the same nursery area where they were born to give birth. Individuals that they had sampled as babies came back as adults! This is significant from a conservation perspective, because some of the habitat where shark pups were born 14-17 years ago is now developed by resorts and is unsuitable habitat. Media coverage highlights: This study was covered by BBC, Nature News, and even a strangely touching New York Times editorial. 3) Oceanic whitetip sharks migrate vast distances, but spend much of their time in protected waters. Citation: Howey-Jordan LA, Brooks EJ, Abercrombie DL, Jordan LKB, Brooks A, Williams S, Gospodarczyk E, and Chapman DD. 2013. Complex Movements, Philopatry and Expanded Depth Range of a Severely Threatened Pelagic Shark, the Oceanic Whitetip (Carcharhinus longimanus) in the Western North Atlantic. Brief description: This study provided further evidence that the heavily exploited oceanic whitetip shark is highly migratory. As they move between many political jurisdictions, management options are complicated. However, many individuals spend the majority of their time in the protected waters of the Bahamas. Media coverage highlights: Scientific American, BBC news. 4) Deep-sea sharks use bioluminescent “lightsabers” to defend themselves! Citation: Claes JM, Dean MN, Nilsson DE, Hart NS, and Mallefet J. 2013. 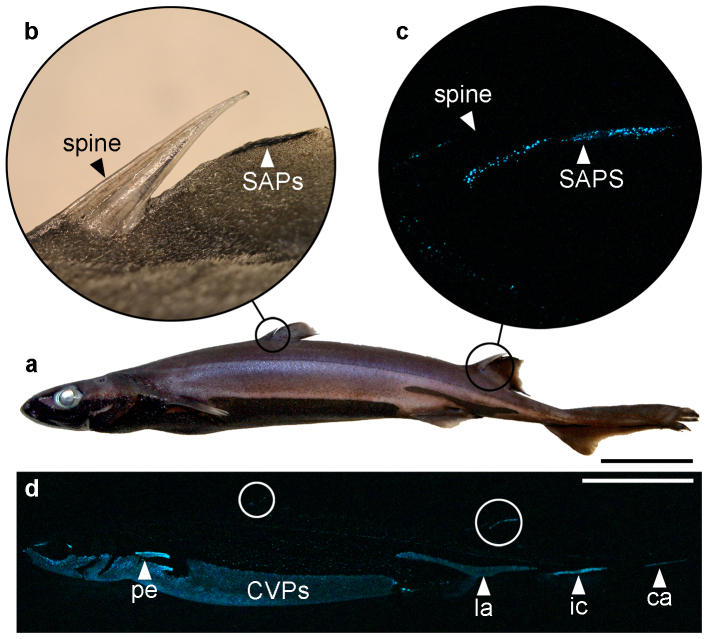 A deepwater fish with ‘lightsabers’ – dorsal spine-associated luminescence in a counterilluminating lanternshark. Scientific Reports 3: 1308. Brief description: While researchers have known of deep-sea bioluminescent sharks for some time, this was one of the first papers to hypothesize what the glowing spines are used for: to indiciate the presence of spines, which would be unpleasant if consumed. It also revealed that many major media outlets do not know that “lightsaber” is spelled as one word. Media coverage highlights: National Geographic, BBC News. 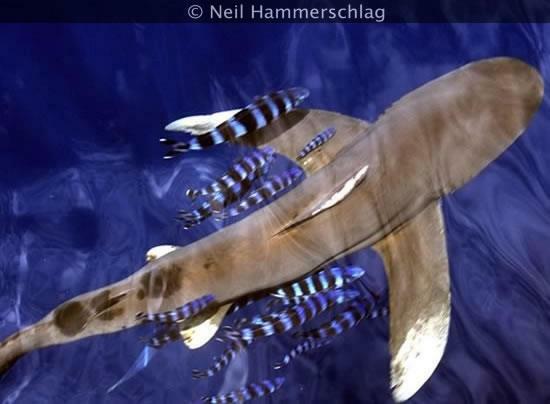 5) A new species of hammerhead shark! Citation: Quattro JM, Driggers WB, Grady JM, Ulrich GF, and Roberts MA. 2013. Sphyrna gilberti sp. 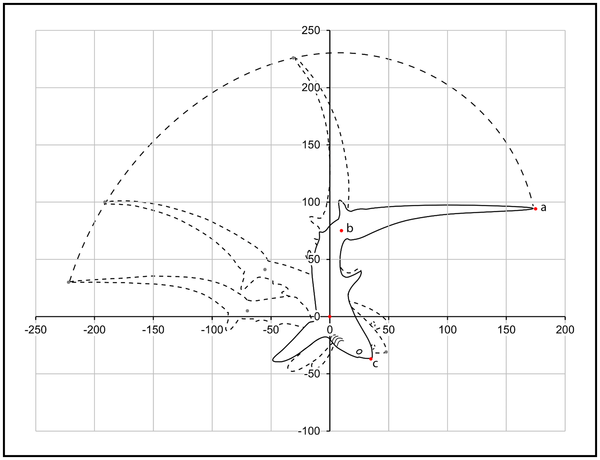 nov., a new hammerhead shark (Carcharhiniformes, Sphyrnidae) from the western Atlantic Ocean. Zootaxa 3702. Brief description: Using a combination of genetic and morphometric techniques, a research team described a new “cryptic species” of hammerhead shark, an extremely important discovery at a time when hammerheads are being proposed for an Endangered Species Act listing. Media coverage highlights: CNN, International Business Times, LiveScience, this blog . 6) Sharks can learn from each other! Citation: Guttridge, T. L., van Dijk, S., Stamhuis, E. J., Krause, J., Gruber, S. H., & Brown, C. 2013. Social learning in juvenile lemon sharks, Negaprion brevirostris. Animal cognition, 16(1), 55-64. Brief description: Lemon sharks are able to learn behaviors by watching others of their species perform those behavior, an ability that requires higher intelligence than many believed sharks to have. Media coverage highlights: National Geographic,BBC News. 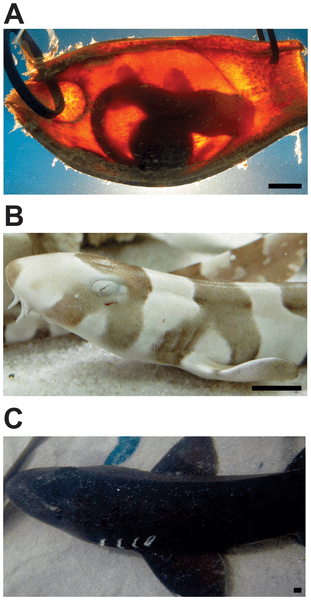 7) Shark embryos can detect predators outside their egg, and alter their behavior! Citation: Kempster RM, Hart NS, and Collin SP. 2013. 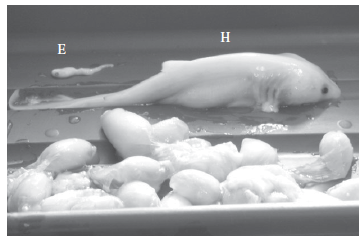 Survival of the stillest: Predator avoidance in shark embryos. PLoS One. Brief description: Shark embryos use their electrosensory system to detect when predators are outside of the egg, and they stop moving when this is the case to reduce the risk of being consumed. The application of this innate ability to shark repellent technology is also discussed. Media coverage highlights: National Geographic, New York Times, BBC News. 8) Sand tiger sharks eat each other in the womb to help their dads! Figure 1 from Chapman et al. 2013. “Size differential between the hatchling (H) and embryo(E). Citation: Chapman, D. D., Wintner, S. P., Abercrombie, D. L., Ashe, J., Bernard, A. M., Shivji, M. S., & Feldheim, K. A. (2013). The behavioural and genetic mating system of the sand tiger shark, Carcharias taurus, an intrauterine cannibal. Biology letters, 9(3). Brief description: Using genetic techniques, researchers solved the mystery of why sand tiger embryos eat each other in the womb. It helps increase the chance that a given (ideally most “fit”) male’s genes will persist in the population, even if a female mates with multiple males. Media coverage highlights: LA Times, Washington Post, NPR news. 9) Thresher sharks slap fish with their giant tails! Figure 3 from Oliver et al. 2013. Brief description: This research team provided the first documented evidence of what thresher shark use their enormously-long tails for: slapping fish to stun them! Watch this amazing YouTube video of the process. Media coverage highlights: The Guardian, National Geographic Phenomena, Scientific American. 10) Shark tooth weapons can tell us a lot about lost biodiversity. Citation: Drew J, Phillipp C, and Westneat MW. 2013. 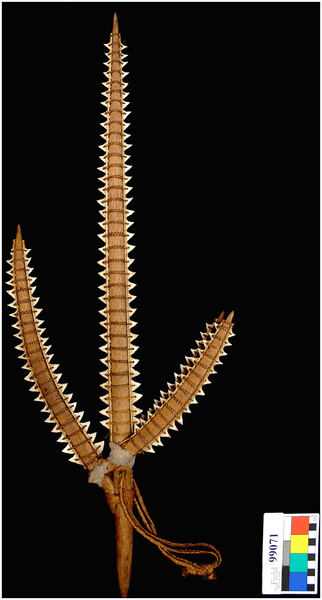 Shark Tooth Weapons from the 19th Century Reflect Shifting Baselines in Central Pacific Predator Assemblies. PLoS One. Brief description: Human artifacts incorporating shark teeth show that some species that are now rare were once much more common, and can help us to detect shifting baselines in biodiversity. Media coverage highlights: National Geographic Phenomena, Discovery News, Fox News. 11) The loss of sharks hurts a whole coral reef ecosystem. “Figure 4. Mean density of trophic groups (±95% confidence intervals) for fished (red) and non-fished (green) reefs. Citation: Ruppert JL, Travers MJ, Smith LL, Fortin M, and Meekan MG. 2013. 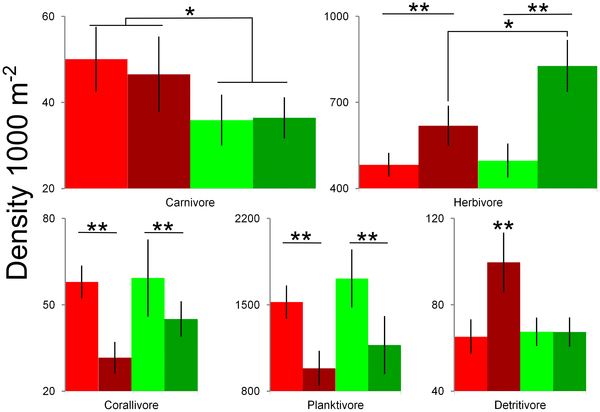 Caught in the Middle: Combined Impacts of Shark Removal and Coral Loss on the Fish Communities of Coral Reefs. PLoS One. Brief description: Shark population declines affects the whole food chain, eventually resulting in the alteration of a coral reef itself (due to changing numbers of algae-grazing herbivores). Media coverage highlights: Io9, Environmental News Network, the Guardian. 12) Secrets behind whale shark aggregation and migration revealed! Citation: Hueter, RE, Tyminski, JP, and de la Parra, R. 2013. Horizontal Movements, Migration Patterns, and Population Structure of Whale Sharks in the Gulf of Mexico and Northwestern Caribbean Sea. PLoS ONE. Brief description: Whale sharks migrate vast distances, but many return to an annual aggregation (hundreds of whale sharks together) in the Gulf of Mexico every year. Media coverage highlights: NPR News, National Geographic News. 13) The first comprehensive estimate of global shark mortality revealed some very bad news. Citation: Worm B, Davis B, Kettemer L, Ward-Paige CA, Chapman D., Heithaus MR, Kessel ST, and Gruber SH. 2013. Global catches, exploitation rates, and rebuilding options for sharks. Marine Policy 40: 194-204. Brief description: This paper provided the first comprehensive global estimate of shark mortality, as well as a (much more biologically significant but less discussed by NGOs) comparison between how many sharks are killed each year and how many are naturally replaced. Though it makes many assumptions (a necessity due to lack of data in many cases), the conclusions are startling, and it has been widely cited by conservation NGOs in the past few months as evidence that stronger conservation policies are needed. Media coverage highlights: National Geographic, Nature News, Fox News, this blog. Bonus discovery: the surprising evolutionary history of whale sharks! If you have any questions about any of these discoveries, or if you think I omitted an important one, please let me know in the comments! What does the new species of hammerhead mean for shark science and conservation? How much of the coastline is used by sharks to ‘ return home ‘ to breed. If it is not a vast amount, shouldn’t we get a movement like Greenpace to take up the cause of protecting that coastline ? Or am I being naive ? Bimini is a small island and a sizable percentage of the available mangrove habitat is being destroyed to make a golf course and resort. There are already NGOs working on this problem. Totally amazing ! Thanks so much!